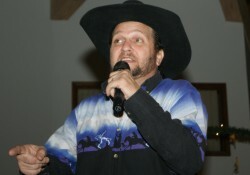 Every Johnny Mello Show performer is a Have A Heart Volunteer. They donate their time and vocal talent to further the cause and outreach of Have A Heart For Companion Animals, Inc. Let them know that you appreciate them when you come to a show. 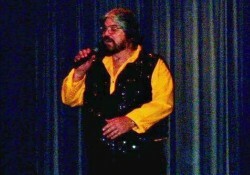 Johnny Mello is a stage name for John Marinelli. He was given the “Mello” title because he sings mostly mellow love songs. He is an ordained Christian Minister, Author of many eBooks on Christian topics, a Christian Poet and Playwright, an armature songwriter, the Vice President of Have A Heart For Companion Animals, Inc., and co-producer of the Johnny Mello Show. He is retired, living with his wife in the Ocala area. His Christian Ministry website is www.christianliferesourcecenter.org. Sultry Lady is also a stage name for Marilyn Marinelli. 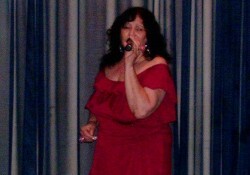 It was attributed to her several years ago when someone complimented her on her singing saying, she had a sultry voice. Marilyn is also an ordained Christian minister and gospel singer. She is the Founder & President of Have A Heart For Companion Animals, Inc, (www.haveaheart.us) an author, playwright and co-producer of The Johnny Mello Show. Uncle Pepe was Originally from Brooklyn, N.Y. He has been involved with music since writing his first song at the age of thirteen. He has performed in several theatrical productions. He was involved in songwriting, artist management, song plugging, production and journalism while living in Nashville. He is now a resident of The Villages where he runs sound for performers on the Square and has an in-home recording studio. 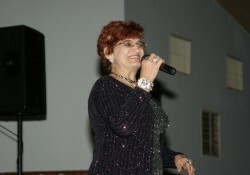 Eulakay Green toured with Kitty Wells for 3½ years as the opening act. She is also a Country Music Recording Artist. She toured the US way back when and had songs on the top 50 charts. She now enjoys a quiet lifestyle in the Ocala area. We are glad to have her as a Johnny Mello Singer. 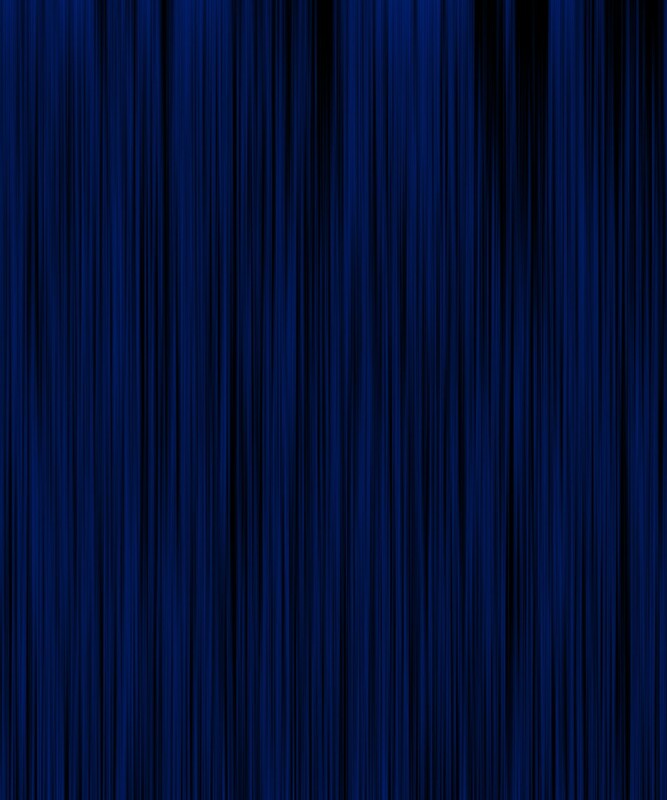 Her unique country voice is a great addition to our blend of style and sound. David Max Baldwin is one of the most popular DJ's in the central Florida area. He is a Country Music and Gospel recording Artist, Songwriter, Karaoke Host and runs the sound for The Johnny Mello Show. He is available for parties, weddings and private shows. 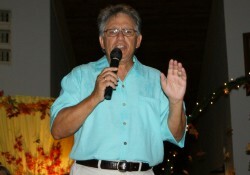 He currently performs at several Moose lodges in the Ocala area, and other locations in and out of Marion County. His deep Country voice puts our show over the top. 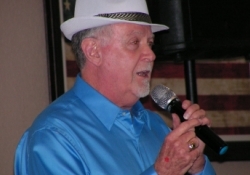 Charlie "Duke" Messenger Duke has always enjoyed singing, playing his acoustic guitar and loves all genres of music. He played bass guitar and trombone in a popular 1960’s band named The Jetsons in his native Baltimore, MD during his high school years at Kenwood High School. After graduating from Villanova University in Pennsylvania, Charlie served our country in the Air Force from 1968 till 1972. 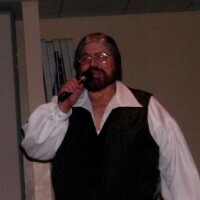 Prior to moving to The Villages with his wife, Lorraine "The Duchess", in April 2015, Duke displayed his singing talents in an award-winning Baltimore Doo Wop group called The Reputations.